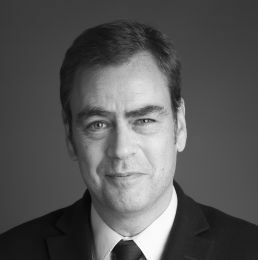 Co-founder of the firm in 1999, Jérôme Chapus previously practiced in the New York and Paris offices of Bureau Francis Lefebvre (1991-1995) and later in the tax department of Stibbe Simont Monahan Duhot (1996-1999). Jérôme assists and represents corporate entities as well as individuals. A substantial part of Jérôme’s activity is devoted to assisting the corporate law/M&A teams of the firm. He has extensive experience in corporate acquisitions and reorganizations, including conducting due diligence, tax consolidation regime, management packages, mergers and similar transactions (including management of tax losses or advance tax rulings). His experience of intragroup transactions extends to transfer pricing and thin capitalization rules. Jérôme’s area of expertise also includes VAT. His practice includes assistance to individuals for the organization of their professional or personal assets (tax residence, personal income tax, wealth tax, inheritance/gift tax, SCIs).